This is modified from an old recipe I found in Cooking Light. The original recipe has cilantro in it. Personally, I think cilantro tastes like dirt so I don’t use it. Steve’s not really a huge fan, either. You could substitute parsley for cilantro, I suppose, but I decided just to skip the greens and substitute something else (scallions). Steve loves this recipe. At one point in time, we ate this weekly. The great thing about this salad is that you can serve it warm on the first night, then eat the leftovers cold for the rest of the week. For leftovers, you can stir in chopped cooked chicken if you wanted additional protein. It’s really filling on its own, though, too. This was served tonight with grilled salmon and grilled asparagus. I have literally served this with everything – steak, chicken, hamburgers, hot dogs, sausages, whatever. It goes really well with everything. In a medium bowl, whisk together dressing ingredients – lime zest, juice, garlic, cumin (if using), and olive oil. Salt and pepper to taste. Once rice is fully cooked, add to dressing. 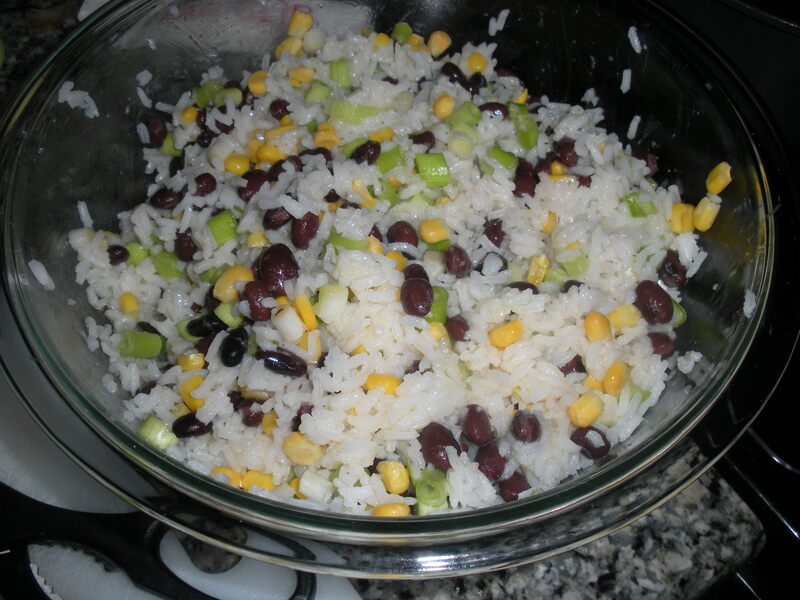 Stir in frozen corn (the heat from the rice will thaw the corn), black beans, scallions, and cilantro if using. The leftovers hold up really well. Because you’re stirring hot rice into the dressing, the rice really absorbs the dressing well. 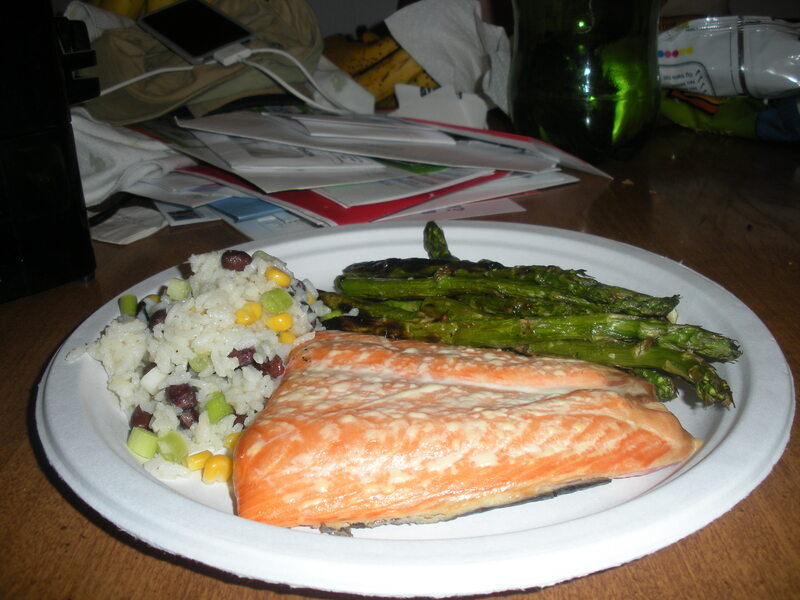 This entry was posted in Salad, Sides, Uncategorized, Vegetarian and tagged beans, rice, salad, sides, vegetarian. Bookmark the permalink.